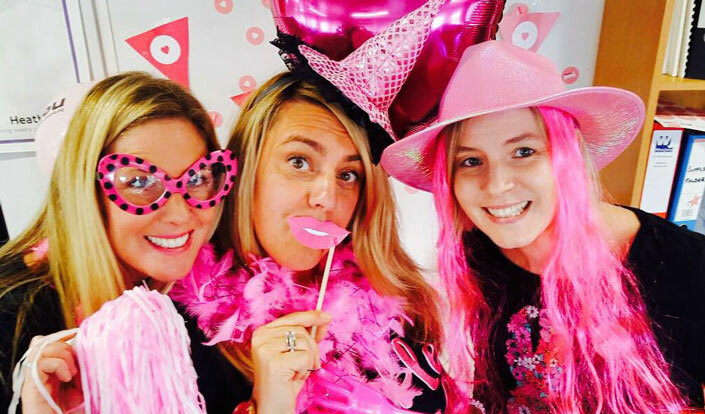 Long-time Breast Cancer Now supporter, Carmel, looks back on last year’s wear it pink day and gives her advice on holding a fundraising event in your office. This will be my ninth year taking part in wear it pink, which has made me feel a bit nostalgic about my time fundraising for Breast Cancer Now. This is why I wanted to write to you – the annual pinkers, the second time returners or the first time-triers. It’s so important that we throw on our pink glad rags, not only because of the great cause but also because it’s such a fun way to do it! So why do I wear it pink? There are too many reasons to list. If I had to choose one, it’s knowing that all my hard work and efforts could bring happiness to even one family, could raise enough to make even the smallest difference to just one person’s life, or simply put a smile on someone’s face. Of course I’m also doing it for those people I love who have been taken away from us because of cancer. When you lose someone close to you, the hurt never goes away and you never stop feeling angry with this terrible disease. But my anger makes me determined to raise more and more money so that one day maybe, just maybe, there will be a cure. My team and I really look forward each year to making our wear it pink day even bigger and better than the previous one. We’re always looking for new ideas and games that we can set up in the office to raise lots more money and beat the year before’s target. Holding our wear it pink day at work is brilliant as I can share the planning with two of my colleagues and friends, Teresa and Clare, and bring everyone in the office together. I’m truly grateful to everyone there for taking part each year. wear it pink is all about having fun. Here’s just a few of the games we have invented: The Grand Pink Raffle, the Pink Tombola, Ping Pong Bra, Strike it lucky, Win Millions, Guess how many sweeties are in the jar, Guess teddy’s name and so many more! I make sure to organise some amazing prizes that are donated by my suppliers every year, and most of our money is made from our Grand Pink Raffle. All other prizes I purchase and donate myself – it’s my contribution to the day. 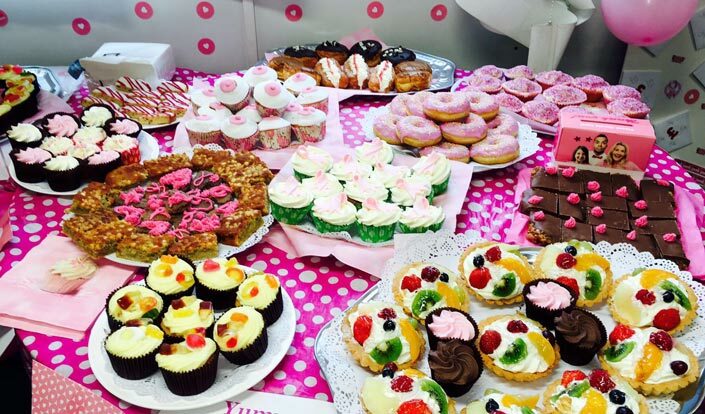 We also have a bake sale where my colleagues will bake pink treats and we sell them for a donation during the day – they’re also handy as a tasty bribe to persuade other offices to buy our raffle tickets! Even though we are on our feet all day and still doing our daily job, it’s every bit worth the stress and hard work. And what would wear it pink be without amazing decorations and fancy dress? We decorate the office with balloons and posters before the event, and then really cover the place in pink on the day. We get in at 8am on the day and the fun does not stop till 6pm! Everyone gets involved and it’s a great atmosphere to be in. The day is complete when we offer the prize for the ‘Best Dressed Pinkie’. Let just say it’s an atmosphere full of happy faces and a lot of pink! I am very much looking forward to taking part in wear it pink again this year. I’m looking to make it even pinker – and of course we aim to beat last year’s total! Everyone should do it. If I had to give advice to a new wear it pinker, I would suggest you start small and grow your event a little every year. Any money made is a result and goes towards all the good things Breast Cancer Now does. Whatever you decide to do, make sure you have fun while you’re doing it! You can find out more about wear it pink on our about page. If you’d like to take part in 2017, please contact us and we’ll get back to you soon with details of how to get involved.